Since our establishment, we are engaged in manufacturing and supplying a comprehensive assortment of Hospitals, Catering and Hotel & Restaurant Products. Apart from this, we offer our customers an extensive range of Salon & Spa Apparels. All the products are manufactured utilizing quality-tested raw material that is procured from the authentic and certified vendor base. Our range of hospitals products are known in the industry for their hygiene, comfort and tear resistance. 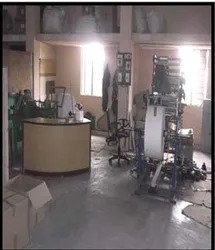 We have set-up a well-structured infrastructure facility, which is equipped with all the required instruments and machines for manufacturing an immaculate range. Our quality auditors test the end products and the raw material on varied predetermined parameters so as to ensure premium quality in our offered products. All the finished products are properly packed using high grade raw material and are delivered to the clients' site within the specified time frame. Owing to all these aspects, we have successfully gained a wide client base across the market. We have acquired a remarkable place in the market for our quality products. Our transparent policies and in-depth industry knowledge have enabled us in mustering trust and faith of our valued customers. We have established a sound infrastructure facility in our premise at Chennai (Tamil Nadu, India). The base is segregated into diverse units such as manufacturing, designing, quality control and warehousing & packaging unit. We have hired skilled and experienced marketing team, who are responsible for the proper approach to customer needs. 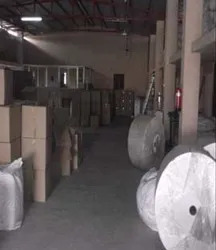 Our organization accommodates a capacious warehousing and packaging unit, wherein we store the procured raw material as well as the finished products safely. This unit is further sub-divided into various sections so as to facilitate categorical placement and easy retrieval of the entire product range at the time of dispatch. Apart from this, our diligent packaging experts make use of durable quality material to pack these finished products properly. Every company needs support by a skilled and qualified team of professionals to excel in the field. Thus, we have employed a team of proficient and capable professionals, who are experts in their individual domains. Our team members are imparted with regular training sessions so as to provide quality products and effective customer service. 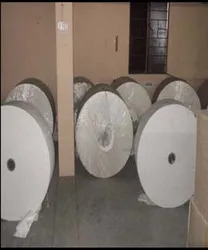 Further, our production department is familiar with aluminum foil making process and also assure that each process is completed with great care. Our organization is reckoned in the market for delivering finest quality range and a skilled team of professionals supports us in all our business operations. We are engaged in improving our products on a regular basis and making these as per the latest market trends.